Apart from the critically acclaimed comic book and equally popular TV series, Telltale Games’ The Walking Dead’ Season 2 is one of the most anticipated titles from the world renowned zombie franchise. The first installment received more than 90 awards from different award-giving bodies in 2012, most notably bagging Spike TV’s Game of the Year award. Because of the critical and commercial success of the game, Telltale Games is under pressure as they are currently working on the much anticipated sequel to the game. As eager fans are waiting for the release of the sequel, the company released The Walking Dead: 400 Days, a tale that aims to serve as a primer to Season 2. The Walking Dead: 400 Days will slightly deviate from the single-character focus of the main games; this time, the players will be dealing with the lives of five people who are trying to survive the first 400 days of the zombie outbreak. The game, which was just recently released, is basically an additional episode for the game and follows a similar narrative style of movies like Pulp Fiction. Players who immensely enjoy games that come in a series often get attached to the characters; it is a good thing that each character in this latest release has their own compelling personality and stories just like the ones in the first season. This is the perfect game for those who do not have the patience to play long-stretch games. Though the game only lasts for less than an hour, playing it will surely be worth your time. In addition to that, players will get a few hints of what to expect in the second season. 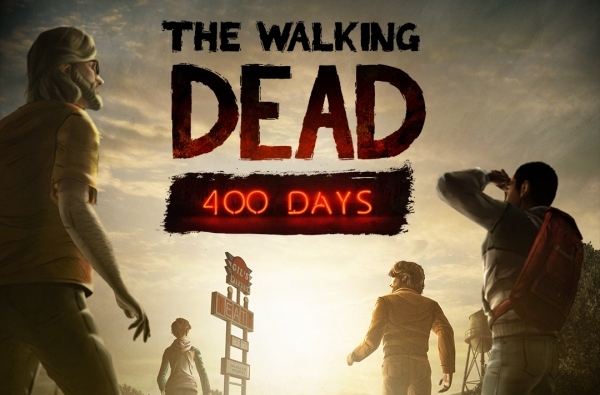 Although created by the same gaming studio, The Walking Dead: 400 Days is definitely not like Poker Night 2 or PN2, an unnecessary sequel to Poker Night at the Inventory. It was dubbed by many review sites as unnecessary because PN2 did not bring in any improvement to the game. However, what Poker Night 2 brought to the table are funnier and meaner characters. But of course, you can’t blame Telltale Games for not adding anything new to its poker title’s game play. Both Poker Night 2 and Poker Night at the Inventory were made to provide a great laugh to the players. They are not like the usual games you play online where you need to focus intently to win and become an elite competitor. In Poker Night 2, the main mission is not to win cash but to enjoy the card game while laughing your heart out to the riot that each character brings. Since The Walking Dead Season 2 won’t hit the shelves until August, players can go back to the first installment as a refresher. Meanwhile, playing 400 Days is something you must do in order to have a better grasp of the second season so you might as well start playing the game. Retire your smartphone from long hours of VoIP calls and use it for something more entertaining. This game is available for Mac, PC, Xbox 360, PlayStation 3, and Apple iOS platforms. If you’re someone who is easily startled, play the games with caution.